Sowins Real Estate & Property Management is an aggressive, full service real estate and property management company. 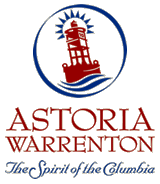 Currently serving Clatsop County including Astoria, Warrenton, Gearhart, Seaside, and Cannon Beach. We are committed to providing excellent service in real estate & property management. We have a knowledgeable, courteous and friendly staff that will facilitate all your needs. We go that extra mile for our customers. Business, investment, and employment opportunities are available. We will help you with all your real estate & property management needs with sincerity and graciousness. We are local and believe that the customer comes first with service you can trust. If you or someone you know is in the market to buy or sell a home, give us a call and experience the distinction of service!